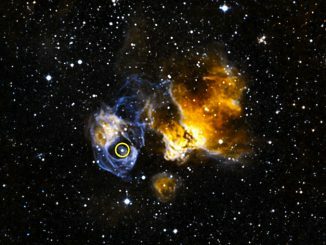 Astronomers studying the effects of gamma ray jets emitted by 739 super-massive black hole-powered blazars shining across the depths of space and time have calculated the total amount of starlight generated over 90 percent of the history of the known universe. Fans of “The Hitchhiker’s Guide to the Galaxy” will no doubt be disappointed the answer is not 42. It’s 4 X 1084. That’s 4,000,000,000,000,000,000,000,000,000,000,000,000,000,000,000,000,000,000,000,000,000,000,000,000,000,000,000,000 photons emitted by a trillion trillion stars over most of the lifetime of the cosmos. Despite the stupendously large number, the light reaching Earth at any given moment, not counting contributions from the Sun and the Milky Way, is remarkably dim – equivalent to a 60-watt light bulb viewed from a distance of about 4 kilometres (2.5 miles). “From data collected by the Fermi telescope, we were able to measure the entire amount of starlight ever emitted, said Marco Ajello, a Clemson University astrophysicist and lead author of a paper describing the results in the journal Science. “This has never been done before. 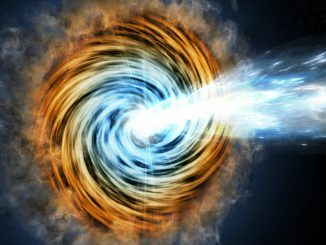 Blazars are galaxies harbouring super-massive black holes that release tightly collimated jets of highly energetic particles. When such a jet happens to be aimed in Earth’s general direction, it can be detected even if the source is extremely far away. 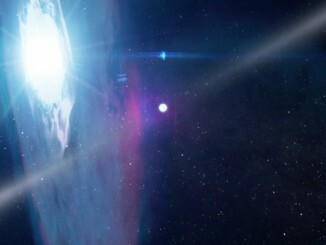 Gamma ray photons eventually collide with extragalactic background light or EBL, a cosmic fog made up of ultraviolet, visible and infrared light emitted by stars or dust in their vicinity. Gamma ray interactions leave a detectable imprint in that cosmic fog. 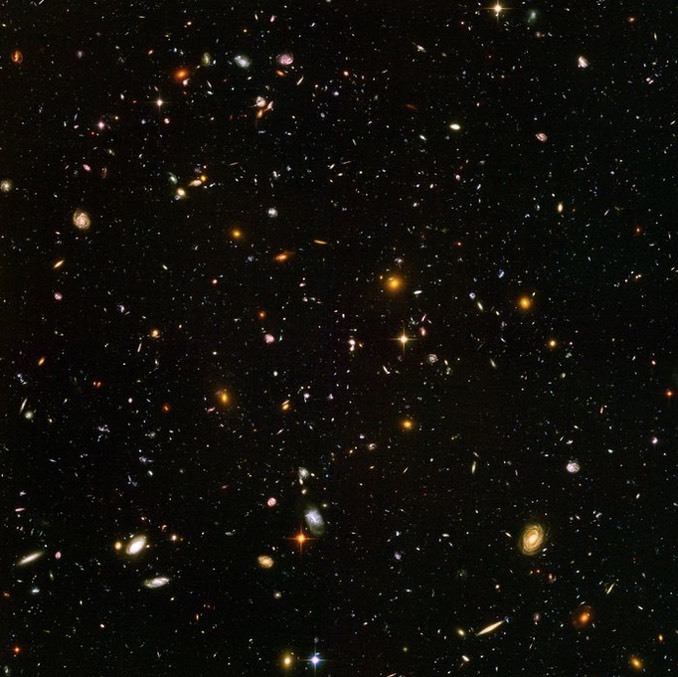 Fermi’s Large Area Telescope allowed Ajello’s team to directly analyse extragalactic background light without having to estimate the contributions of extremely remote galaxies. Co-author Abhishek Desai, a graduate research assistant at Clemson, said past attempts to make this measurement were hampered by bright foreground emissions like those caused by the zodiacal light generated by scattering off dust in Earth’s solar system. “Our technique is insensitive to any foreground and thus overcame these difficulties all at once,” he said.